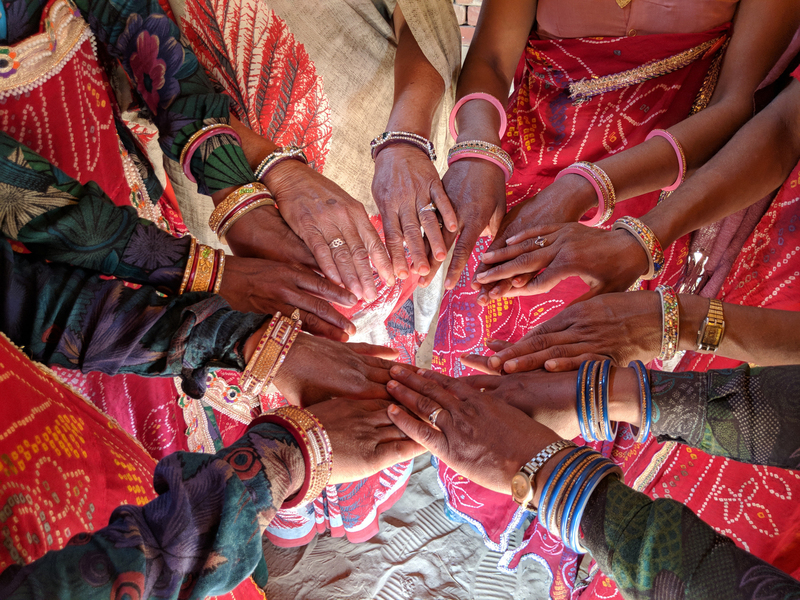 In a world where beautiful things can be delivered to your doorstep like magic, we sometimes forget that real people are hard at work creating them. 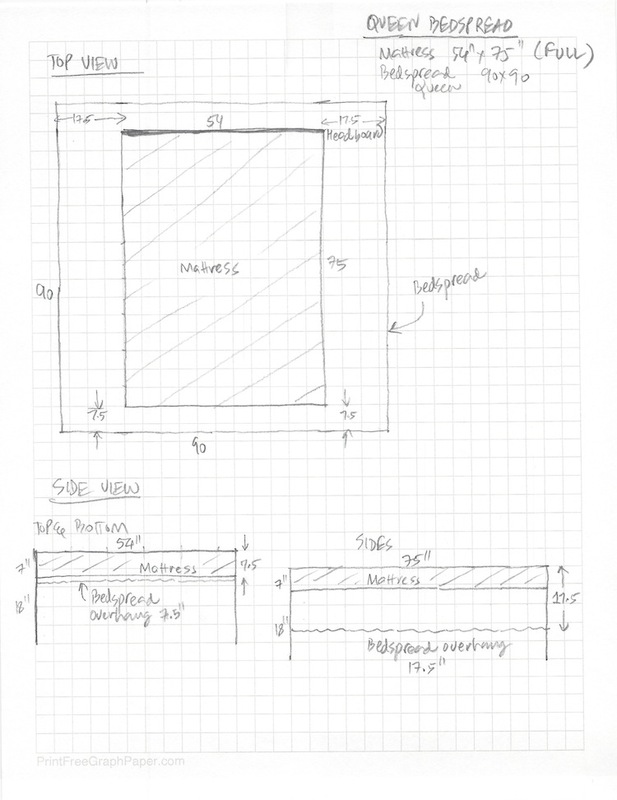 Here you will learn what happens behind the curtain and will get to know us better. Every time an artisan’s hand hovers over a textile as he ponders the placement of each wood block there is so much more than just dye stuff that impregnates the fabric…the textile vibrates with life and consciousness, it transforms itself into a ‘living’ textile encapsulating generations of skill, tradition, craftsmanship and a way of life Welcome to the world of wood block printing ~ all our textiles are printed using this incredible craft. Our lightweight bedspreads are more like lightweight sheets meant to cover the mattress with just enough overhang. This article should help ensure that our bedspreads are right for your needs. 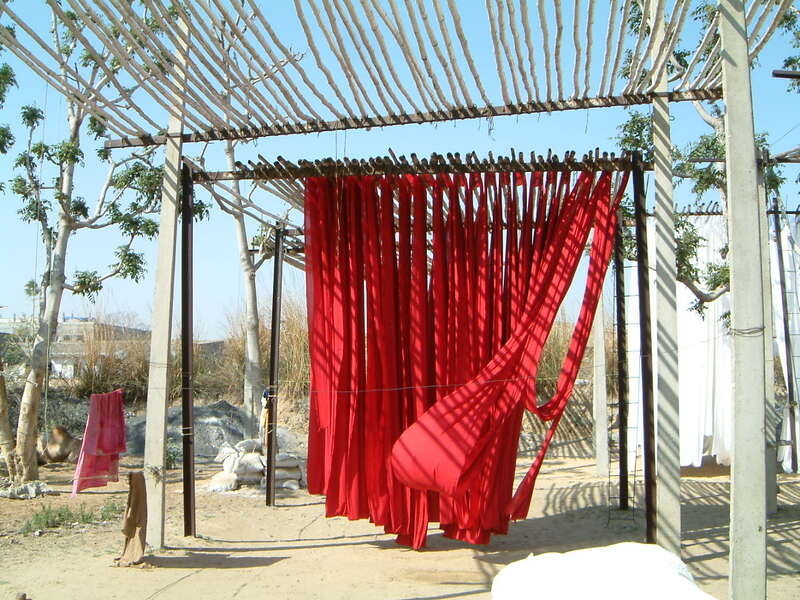 Customers who are looking for a traditional coverlets, i.e. quilted or mid-weight spreads that cover the entire bed and go all the way to the floor, find our bedspreads small in size for their needs. In the process of being made, our intricately hand-embroidered cotton quilted throws and blankets are touched and nurtured by numerous hands, rendering them exquisite works of functional art. 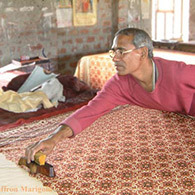 The pattern on our quilts is first block printed. 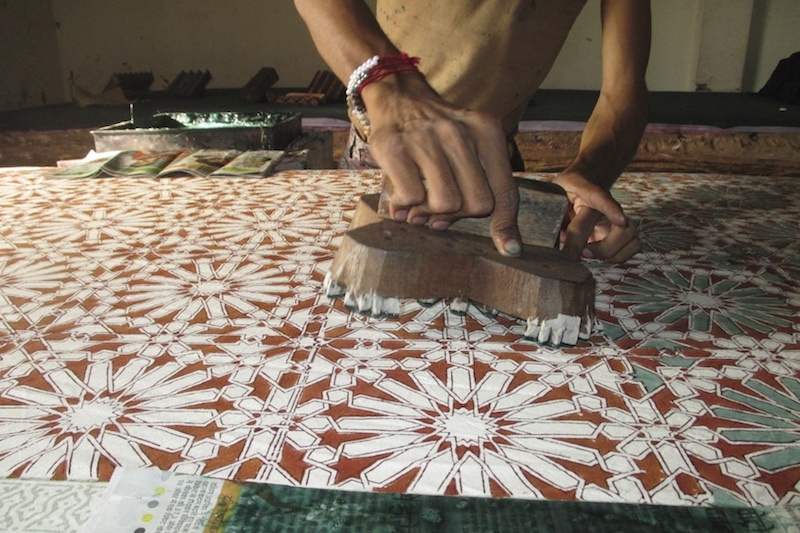 Artisans in our Sanganer printing studio print the design using a set of intricately carved wooden blocks. 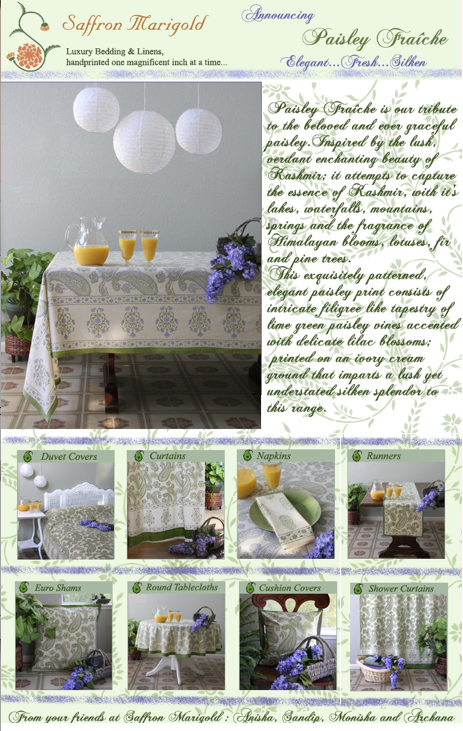 Announcing Paisley Fraiche – Why a summer perfect print in Fall? We are pleased to announce the launch of our latest print today. Paisley Fraiche – An elegant, intricate, filigree like tapestry of lime green paisley vines accented with delicate lilac blossoms, printed on an ivory cream groundSurrounded, bombarded and inundated with the reds, golds and browns of Fall you probably have your eyes rolled back wondering about the ‘perfect’ timing of our summer perfect print Paisley Fraîche! This post will walk you through a visual journey of how “Mosaique Bleue: a moroccan inspired tile print” comes to life one block at a time. It’s an intricate Moroccan tile print, consisting of cyan blue star burst motifs, set in pieces of chocolate tile, with accents of french blue, peacock green and apricot. 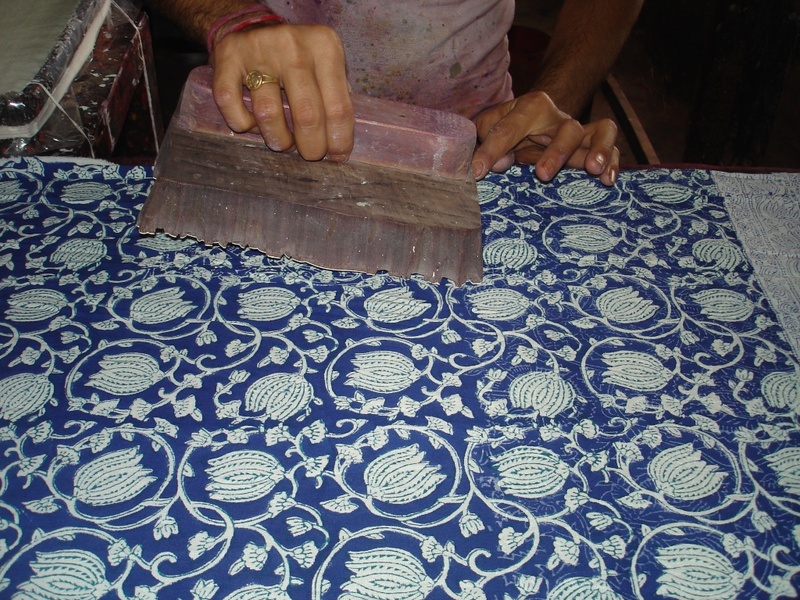 In this post we will walk through the block printing process for Midnight Lotus. Symbolizing renewal, Midnight Lotus has ethereal white lotus blossoms gently adrift on a deep Persian blue ground. We start with the border. Block #12nd row of the border.